It might in the minds of some in the MOD be easier, cheaper and seemingly more efficient to acquire the planned three new Royal Fleet Auxiliary (RFA) support ships that will provide necessary supplies to the two new Queen Elizabeth class aircraft carriers and other Royal Navy ships from overseas shipyards but the time has come for the MOD to place maintaining UK sovereign capability as a number one priority meaning that it should do all that it can to ensure these vessels are built in the UK. How the MOD and Treasury handle the RFA support ship programme will be a very interesting test of whether the Government places real importance on the need to maintain UK sovereign capability. 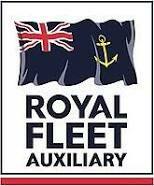 While the MOD is by law obliged to have all Royal Navy combatant vessels/hulls [Destroyers, Frigates, Offshore Patrol Vessels, Aircraft Carriers, Submarines and Minehunters] built in sovereign UK shipbuilding yards it has long appeared to be unsatisfactory that existing sovereign capability rules do not extend to ships that support the Royal Navy such as Royal Fleet Auxiliary refuelling and support vessels. This particular escape clause reasoned why the MOD chose to have the four Tide-class tankers built under the hugely expensive and inefficient Military Afloat Reach and Sustainability [MARS] programme for the Royal Fleet Auxiliary, the final vessel of which programme was delivered late last year, built by one of the world’s largest shipbuilders, Daewoo in South Korea. I use the word inefficient because having started as long ago as 2003 the MARS programme was to suffer age old problems of delay, cancellation and restart caused by MOD under-funding. Whilst no-one would wish to see vessels such as these being built in the UK at any cost the point we need to remember is that, for example, for every £500 million we spend on a tanker/supply vessel built in the UK around 50% of that money goes back into the UK economy through direct and indirect labour and the supply chain. While UK commercial shipyards would not claim to be the largest, cheapest, most efficient or highly invested in the world they do for the most part produce a very high quality product on time and on budget. Because of the choice we made to buy ships such as those in the MARS programme abroad and where every penny spent by the taxpayer goes into the economy of the build country – in this case South Korea – the UK has over the past couple of decades lost many of its remaining specialist commercial shipyards. Babcock International’s yard at Appledore in Devon was the latest to close following an announcement by the company last year. But for all that, we do still have important shipyards outside those of the primary and highly invested warship and submarine building capabilities on the Clyde and at Barrow in Furness that are owned by BAE Systems. One such example is Cammell Laird at Birkenhead which, with a long history of shipbuilding is today the largest and most successful commercial new build, ship repair, engineering construction and ship conversion specialist in the UK. The company recently won a new ten-year through life support contract covering the four 39,000 tonne Tide-class tankers. With or without Brexit, in a world of increasing economic uncertainty the UK needs not only to protect every inch of sovereign capability that it has but to seriously think about increasing it. UK labour costs might be slightly higher than in South Korea but these days they are probably less than in Japan. Given the various quality problems that I read have become evident on the MARS tankers I suspect that in terms of quality and maybe even price that the MOD would have been much better off having these ships built in UK shipyards. In a post Brexit environment we must learn to do what others do. For instance, France and Germany would not dream of having ships built abroad. We must better recognise the importance of maintaining important skills and planning forward so that the yards we need to retain can have a steady stream of work. I for one do not hold with the notion that British shipyards are not cost effective, efficient and competitive although I do accept that we have, because of reluctance by successive governments to fully support them preferring, as the MARS example showed, to spend vast amounts of money buying an inferior product from abroad, failed to invest sufficiently in the yards that we still have. I am not sure what the reply actually was or even whether it has yet been given but what we do know is that the UK Government appears content to hide behind a very narrow definition of what it believes to be a combatant (warship) meaning that support ships and tankers do not fall into that category. However, with the Royal Navy fleet of capital ships the smallest that anyone can remember it is not unusual these days for support ships to be used on duties that would normally be undertaken by Royal Navy ships such as disaster relief. I am all for competition and other criteria used by the MOD to ensure that defence together with the taxpayer gets the best deal that it can. But I also take the view that the UK needs to ensure not only that we maintain sovereign design, development and build capability on frigates, destroyers, aircraft carriers, offshore patrol vessels and submarines but also on the vast majority of support vessels that we have the ability and economic need to build here. In the future I believe that we will need to take far more cognisance of what national security means in all its various forms meaning that we must ensure that we have the desire, ability, necessary skills and facilities to ensure that we are not reliant on someone else. Maintaining what we have and also rebuilding important sovereign capability that in our quest for cheapness we may have lost are prerequisites of the society that we now live in. Right now it appears that in regard of the fleet solid support ships the MOD may be sticking to its view that support ships are not warships meaning that there is no national security reason to limit their construction to the UK. Even if that was to be proven to be correct the economic, political and common sense reasoning suggests that, as long as we have the capability and skills required together with the ability to fairly compete, every ship that is paid for by the taxpayer must in future be built in the UK. Previous PostUnder armour: the US Army’s new soldier protection system By Grant TurnbullNext PostInteresting Views From Sir Michael Fallon By Howard Wheeldon, FRAeS, Wheeldon Strategic Advisory Ltd.